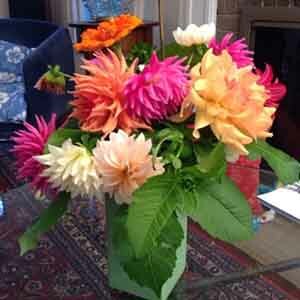 What is it about dahlias? 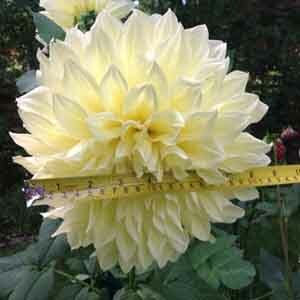 But what is it about dahlias that has attracted so many fans and admirers? 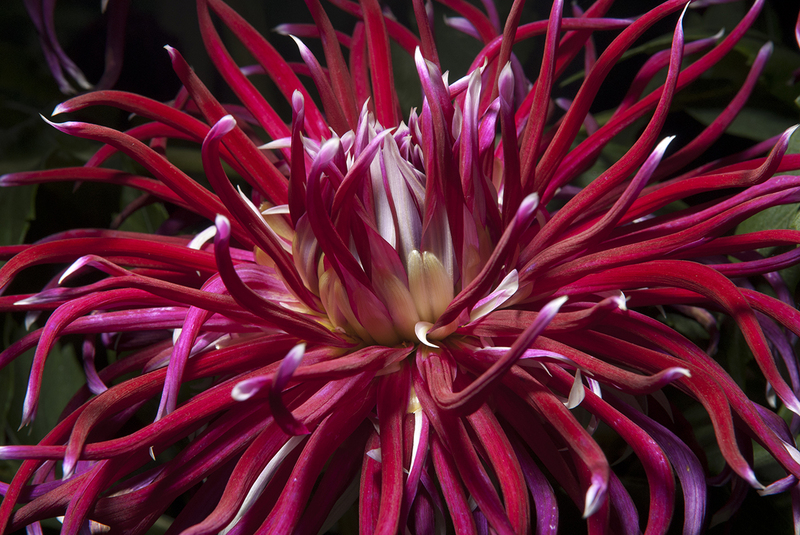 In our effort to describe the joys of dahlia gardening, members of Central States Dahlia Society were recently asked why they are so enthusiastic about these dramatic floral divas, which will be on display September 9-10 at the Chicago Botanic Garden. Here’s what we found. Size does matter. 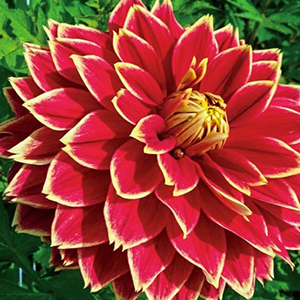 Of the 70,000 varieties developed, dahlia blooms range in size from the miniatures, just 12 inches tall with 2-inch blooms, to the huge “dinnerplates,” the dense, glossy-leaved plants that grow up to 6 feet tall and bloom with flowers 10 to 12 inches in diameter. 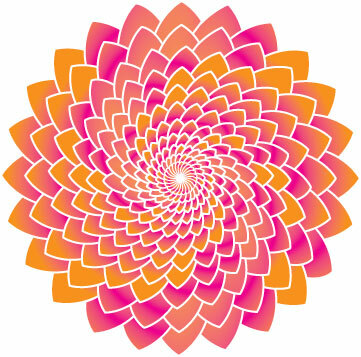 As one member said: “I love giant flowers! The ‘dinnerplates’ are showstoppers!” Another praised the benefits of smaller varieties, which can be used in containers when space is limited. “Sometimes, you don’t realize they are all part of the same family,” she said. Miniature dahlias sport 2-inch blooms. …can measure up to a foot across! They come in a range of colors. Color and beauty ranked high in members’ reviews. The wide range color range means dahlias will complement any gardening color scheme and co-star with both annuals and perennials in a garden. 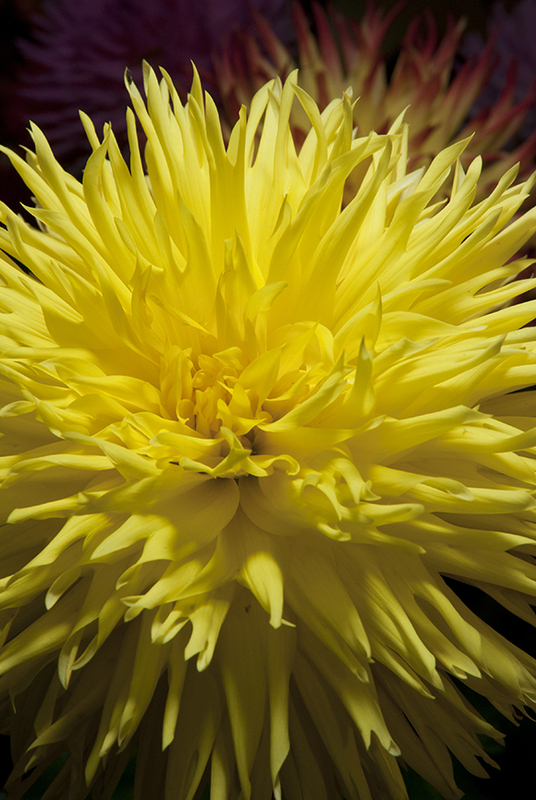 Recognized by one member as “The Las Vegas of flowers,” dahlias range from the darkest red or purple to many shades of pink, orange, yellow, and white. There are also blends, variegated, and bi-colored cultivars. The only color missing from this palette is blue. Many admired the range of color in the foliage as well. 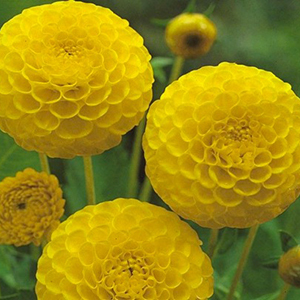 These prolific bloomers offer a lot of choices. 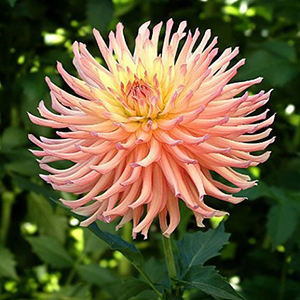 Form and size are categorized by the American Dahlia Society (www.dahlia.org) into 21 classifications, and members are drawn to the diversity, describing the blooms as “gigantic,” “elegant,” and “perfection.” The plants provide continuous blooms from July to frost. 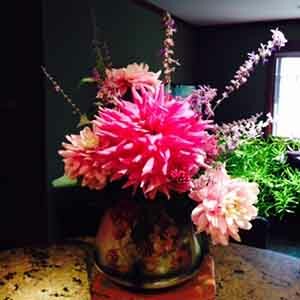 As a cut flower, dahlias are superstars. The more you cut them, the more prolific they become. 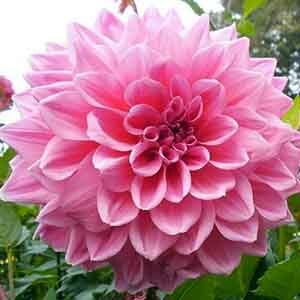 Copyright ©1995-present, American Dahlia Society, all rights reserved. 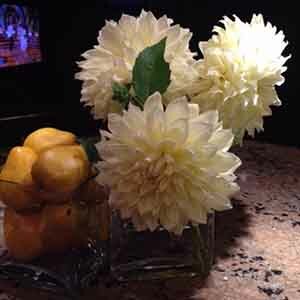 Other members cited the unique features of dahlias. There are 1,500-plus named varieties, with names like Prince Charming, Blondee, Cutie Patootie, and Diva. 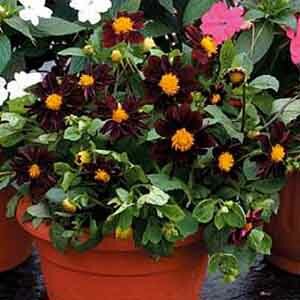 The availability of low-growing varieties makes them perfect for containers. 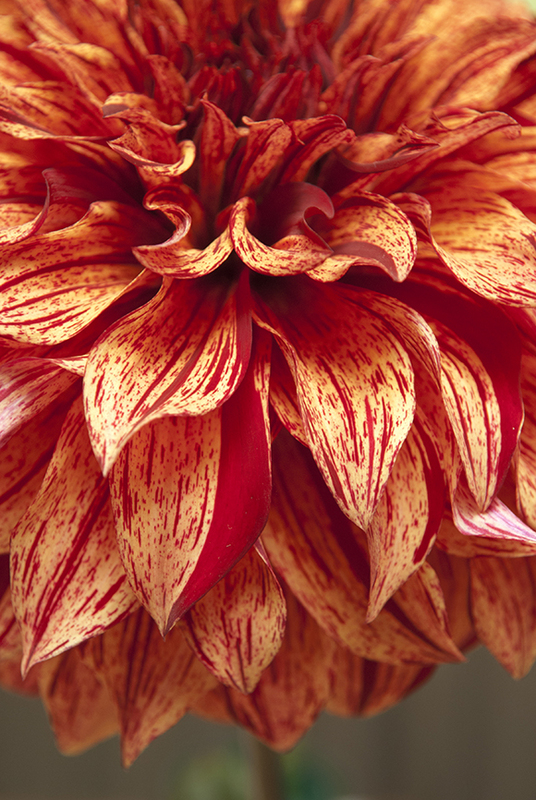 While dahlias receive a standing ovation for their color and form, they have no scent, making them an ideal bloom for people with allergies. Devoted followers highlighted ease of growing as an attribute. Tubers can be saved and propagated from year to year, making them very efficient. P.S. Will, what were you thinking? The rose has thorns! Pick dahlias! 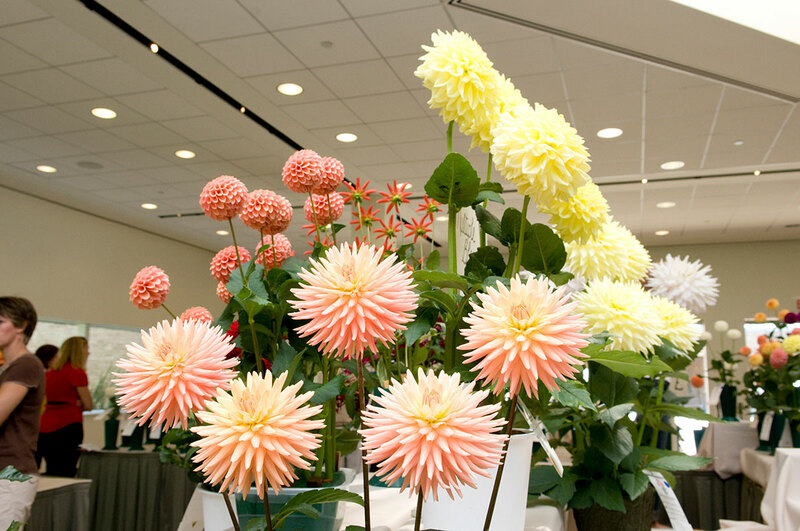 Join us September 9-10, 2017, for the 51st Central States Dahlia Society Show. We hope you will join us at the 51st National Dahlia Show hosted by the Central States Dahlia Society at the Chicago Botanic Garden on September 9-10, 2017. 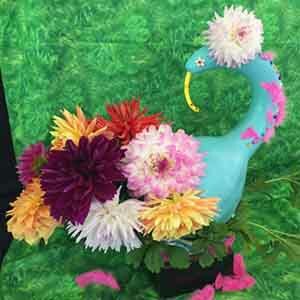 For additional information on the Central States Dahlia Society or the 2017 National Dahlia Show, visit centralstatesdahliasociety.com/2017-national-show. By Andrea Basalay, with thanks to the CSDS members for sharing their thoughts and experiences.